What: Established in January 2015 by members of the Morgan Hill Chamber Board of Directors, and has grown exponentially in the years following. There are NO age restrictions, unlike many others that set age parameters from 21-39. Young business professionals that attend our events are surrounded by people of all ages, professions, and interests. You are encouraged and welcome to be a part of SCYP'N! Help support, increase awareness and meet a few of our local young professionals by attending one of their upcoming events. 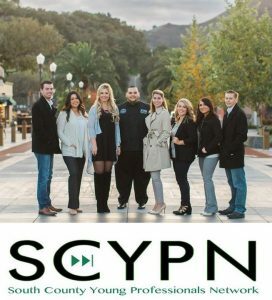 When: SCYPN hosts a mixer at a local business on the last Thursday of the month from 6:00 -8:00PM, in addition SCYPN organizes a Quarterly Educational Event! What: This committee focuses on building the long term economic vitality of Morgan Hill through an appropriate balance of job, business, housing, retail and recreational growth. When: 2nd Thursday of Each Month, 8:00 a.m.
What: This committee facilitates relevant communications between Morgan Hill businesses and the City of Morgan Hill, Santa Clara County and the state of California and makes position recommendations to the Chamber Board of Directors for their consideration. Where: Morgan Hill Chamber of Commerce Conference Room. What: Committee that stresses education and educational opportunities for the Morgan Hill area. When: 4th Friday of Every Month 8:00 -- 9:30 a.m.
What: This committee facilitates cooperation between the many and varied services and providers for the aging community in Morgan Hill. More information for 50+ can be found on the El Toro Social Club Website and Facebook page. The ongoing partnership between the Morgan Hill Chamber of Commerce and Visitors Center and the Gilroy Visitor's Bureau continues to provide many opportunities to leverage advertising dollars to reach a national and international audience that would be prohibitively expensive for either organization to access on their own. Funding from the Cities of Morgan Hill and Gilroy allow this partnership to promote our region and bring much needed tourism to our area. Morgan Hill Downtown Association The MHDA promotes downtown business interests and keeps merchants, residents and land owners informed of issues effecting the downtown. Boasting 350 miles of the world's most gorgeous coastline, California's Central Coast stretches from Ventura County just north of Los Angeles to Santa Clara County south of San Francisco. Visit here and you'll find that the Central Coast's four regions offer everything you desire. The California Chamber of Commerce is an advocate and resource for California employers, working to enhance the California economy and make the state a better place to live, work and do business. The Silicon Valley Chamber Coalition SVCC - Representing over 10,000 businesses in Silicon Valley, the SVCC is a unified voice of county, regional, state and federal legislative issues of concern to Chambers of Commerce. The coalition serves as a forum for discussion and takes public positions when appropriate. Leadership Morgan Hill are training and development programs created to inspire future leaders to community service. The local programs, founded in 1995, are similar in concept to leadership programs in place in 56 California communities. With new understanding, Leadership graduates have the opportunity to become a part of a network of corporate and community leaders who are committed to making Morgan Hill even greater.